In the 1980's the requirement for companies to integrate formal quality systems into their day to day business activities became prevalent. At this time, G. A. 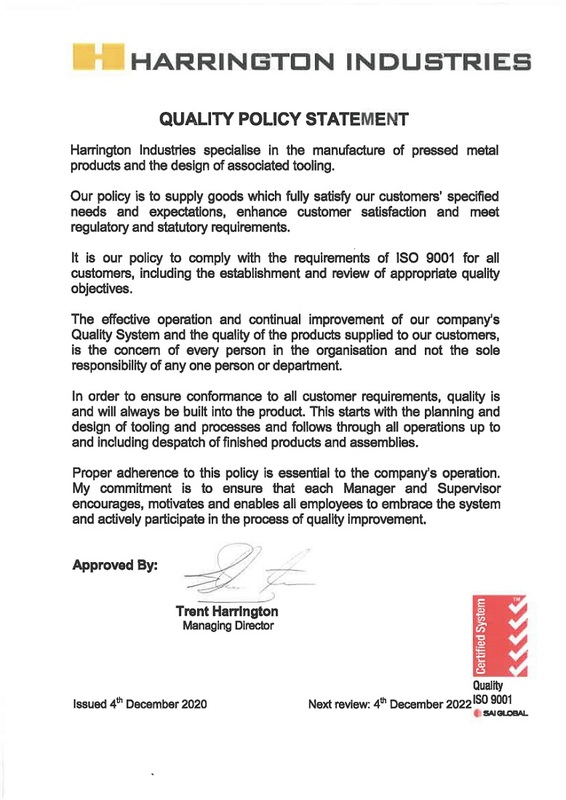 & L. Harrington took the first step towards operating a quality system by setting up a well equipped quality control department and started down the path of implementing written operating procedures. 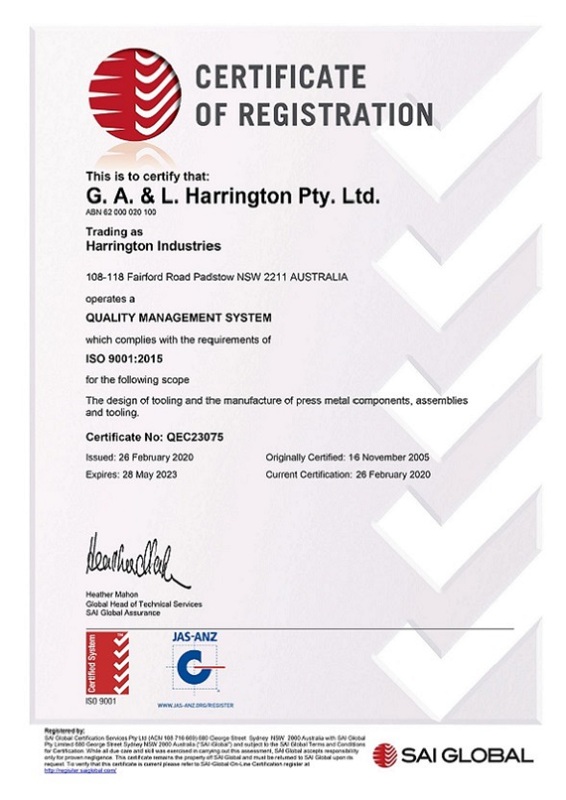 From these early stages and after a lot of effort and cooperation by many people, the company now has a well established and fully implemented quality system with 3rd Party Certification covering the ISO 9001 quality system standards.